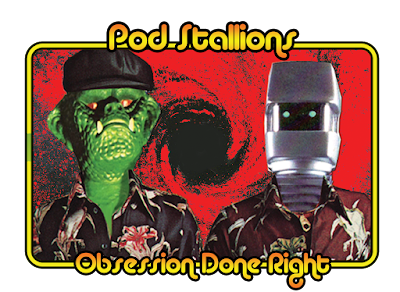 Plaid Stallions : Rambling and Reflections on '70s pop culture: Jaws Game! Currently trying to put one of these together to play this with my kids. I'll say it again, OK game but amazing nemesis for your Mego Superheroes. Yes, many Adventure People died after swimming in Jaws infested waters in my home. Also, who amongst us didn't recreate Fonzie jumping the shark with it? This game is still sold today but without the Jaws licensing. It's called Sharkey's Diner. The original game with its Jaws packaging cost bookoo bucks on Ebay! 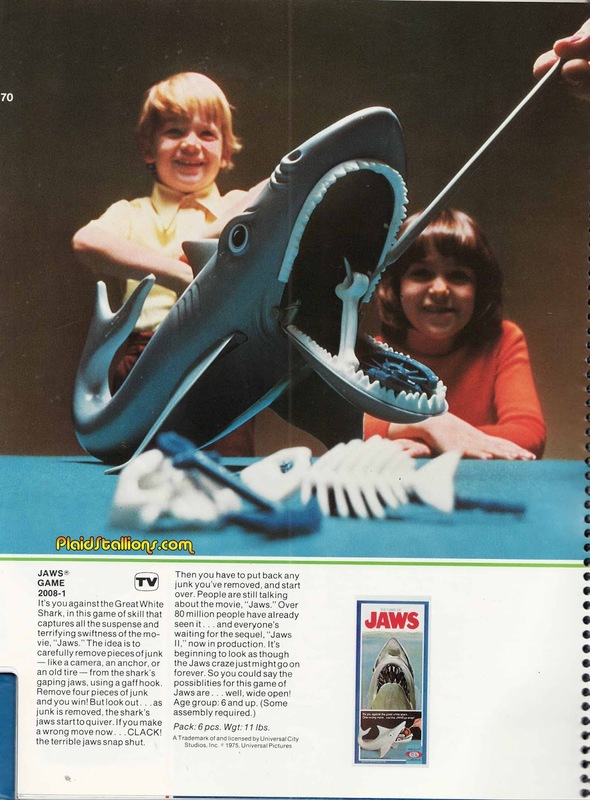 "...the Jaws craze just might go on forever." Or at least until it meets Michael Caine.